Immerse in the vibrant rhythms and passionate culture of Argentina and Brazil on this unforgettable 6-night small group southern adventure, journeying from the lively and charismatic Buenos Aires to the heaving metropolis of Rio de Janeiro, taking in the spectacular Iguazu Falls along the way. 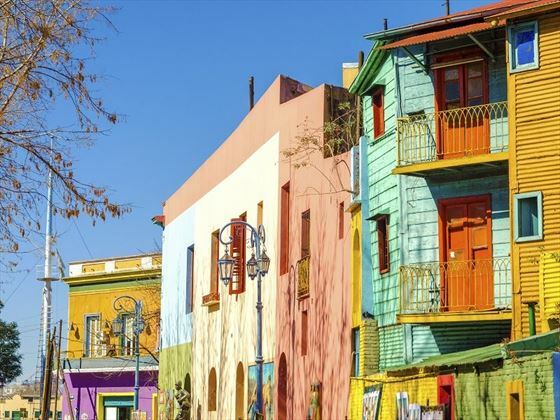 Your adventure will begin in the cultural heart of Argentina, Buenos Aires; offering an eclectic mix of European, Cosmopolitan and Latin flavours, as well as a booming cultural and nightlife scene. From here, you’ll fly over to Puerto Iguazu, home to the mighty, world-famous Iguazu Falls. Witness the magnificent falls and scenery from both the Brazilian and Argentinian sides, and visit a local indigenous community to gain a further insight into the region’s rich heritage. 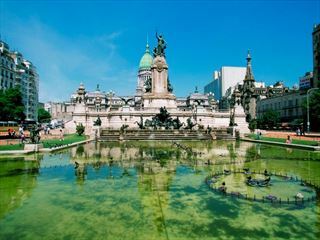 Then it’s time to embark on the final part of this enthralling tour by flying to Rio for a two-night stay. 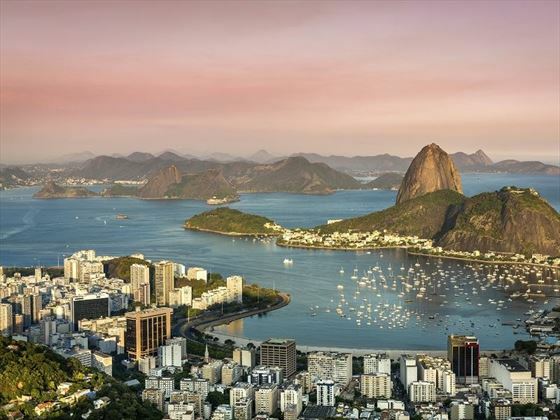 Absorb this phenomenal city’s captivating culture, dance and music, and explore some of its magnificent sights, including views across the dazzling city, mountains and bay from the foot of Christ the Redeemer. 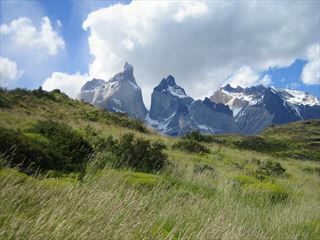 This guided tour can be as relaxed or adrenaline-fuelled as you like, with a fabulous selection of adventures to embark on along the way, from Tango Shows and City Tours to optional Helicopter Flights, Speedboat Trips and more (INT-GPKB). Upon arrival at the airport, take a complimentary transfer to your hotel in Buenos Aires. 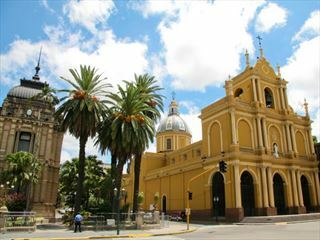 If you have some free time, head out to soak up the ambience of this sophisticated city, often referred to as the ‘Paris of South America’. At 6pm, your adventure begins with a welcome meeting. After breakfast, you’ll head out on a full-day city tour with a local guide. 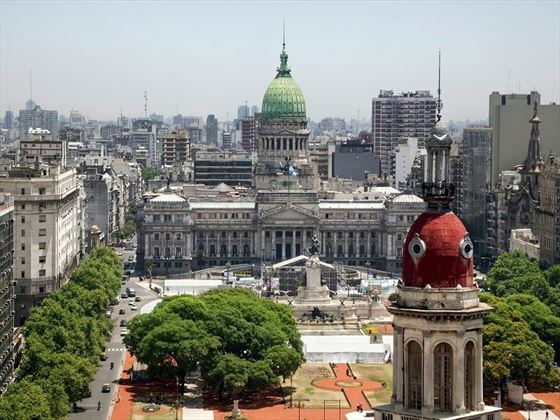 Wander the cobbled streets of San Telmo and browse its antique markets, then continue to Plaza de Mayo to see the presidential palace of Casa Rosada. Walk among the tombs of the Recoleta Cemetery, the final resting place of Eva Peron, before taking a private transfer to La Boca to explore its artistic neighbourhoods and art galleries. Here, you’ll enjoy lunch at an artist’s gallery in support of a local social project. The evening will be at leisure, so perhaps you could enjoy a famous tango show, football match or divine steak in one of the city’s trendy restaurants. 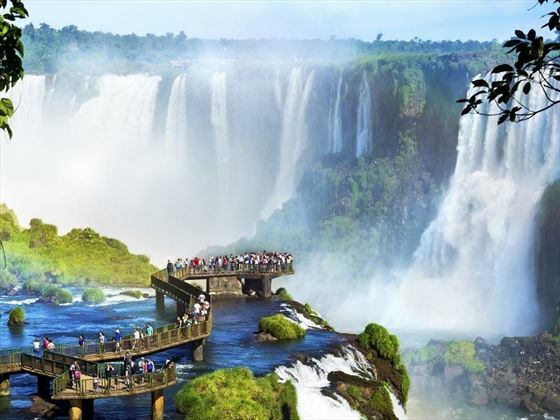 You’ll fly to Puerto Iguazu in the northeast corner of Argentina today, home to the magnificent Iguazu Falls which straddles the border of both Argentina and Brazil. The falls are over 2km in length and consist of 275 waterfalls in total, some of which stretch up to 80 metres high. You’ll head over to the Brazilian side today to soak up the phenomenal panoramic views, with the option to take a non-included helicopter flight over the top of the falls. Your overnight accommodation will be in a hotel in Foz do Iguazu, Brazil. A visit to the Argentinean side of Iguazu today allows you to get an up-close perspective of the falls via a series of boardwalks. For a more exhilarating experience, you could take an optional Zodiac boat ride to the base of the falls. You’ll then visit a local Guarani community to meet some of the region’s few remaining indigenous people, before returning to the Brazilian side of the falls for your overnight stay. Today, you will take an early-morning flight from Foz do Iguacu to Rio de Janeiro. The rest of the day is yours to do whatever you like; for a spot of relaxation, head to Copacabana or Ipanema Beach, or if the time of the year is right, enjoy a football game or Carnaval rehearsal. 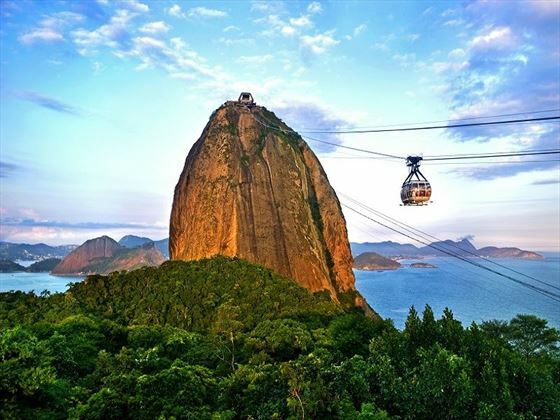 As the evening approaches, it’s a wonderful time to take a cable car up to Sugarloaf Mountain to witness the spectacular sunset views. This morning, you will embark on a full-day guided tour of Rio, starting with a visit to Corcovado Mountain for sweeping views across Rio from the base of Christ the Redeemer, one of the New Seven Wonders of the World. Then, you’ll discover the eclectic architecture, ambient restaurants and art galleries of the San Teresa neighbourhood, continuing onto the famous Selaron Steps before finishing in Downtown Rio. Your adventure of a lifetime will draw to an end today; there are no activities planned, so you’re able to depart from your accommodation at any time.